Los Angeles-based brand A.L.C. and fashion retailer Barneysrecently teamed up on a capsule collection. 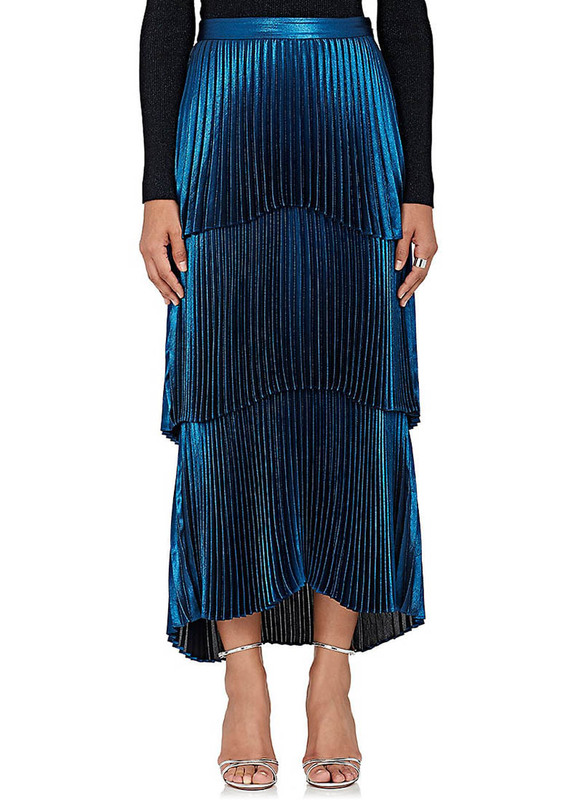 Made for all those holiday parties, the range includes dresses, skirts, jackets and knitwear. 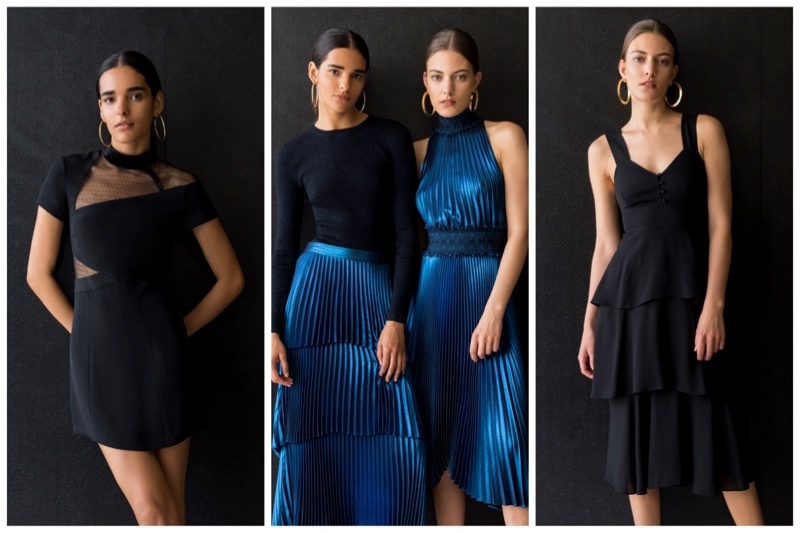 From a blue pleated dress to a sequined blazer and little black dresses, these pieces will upgrade your evening wardrobe. Discover some of our favorites from the A.L.C. collection below, and shop more at Barneys.com. 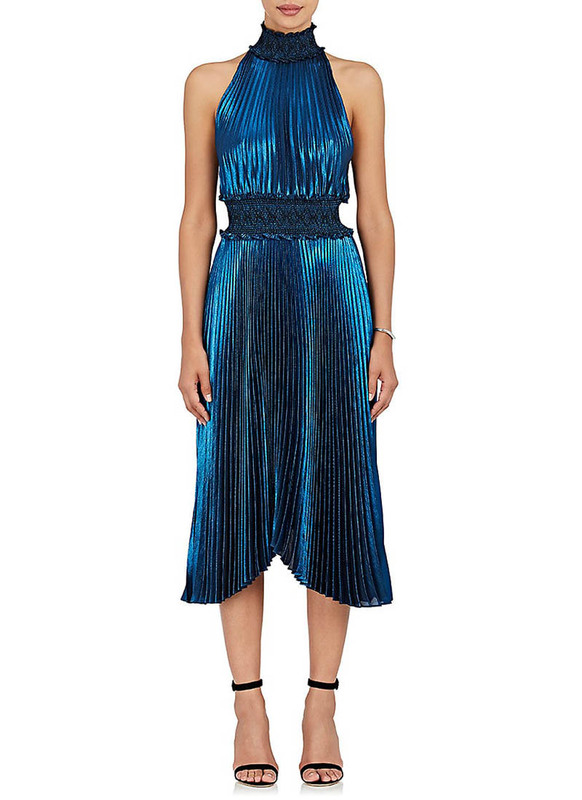 This metallic dress will make you stand out at any party with accordion-pleating. A metallic and merino wool blend sweater features a body-hugging fit. 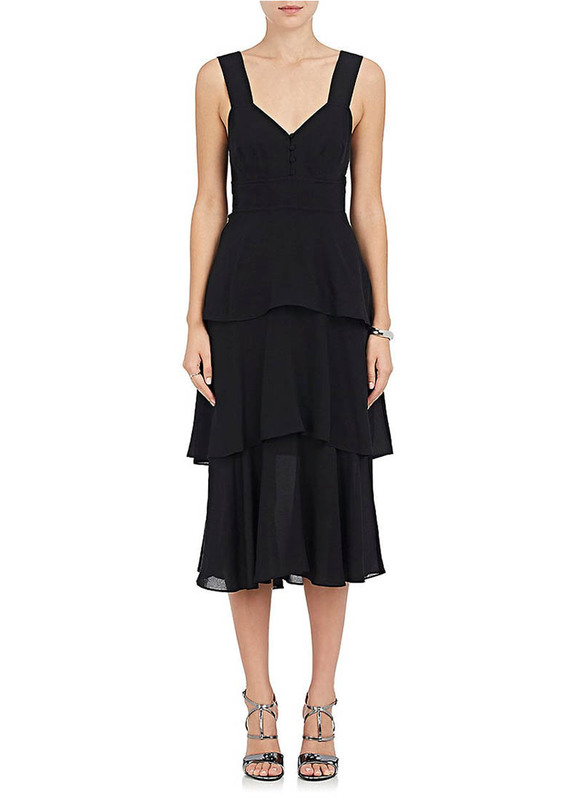 This sleeveless dress includes romantic tiered layers and a v-neckline. 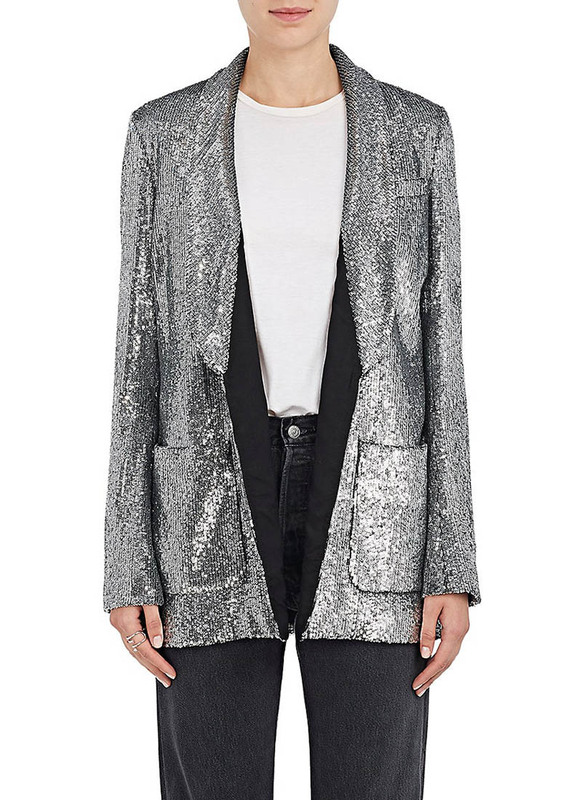 Turn up the shine factor in a silver, sequin embellished blazer with a slim fit. Show some skin in a little black dress with mesh panels. 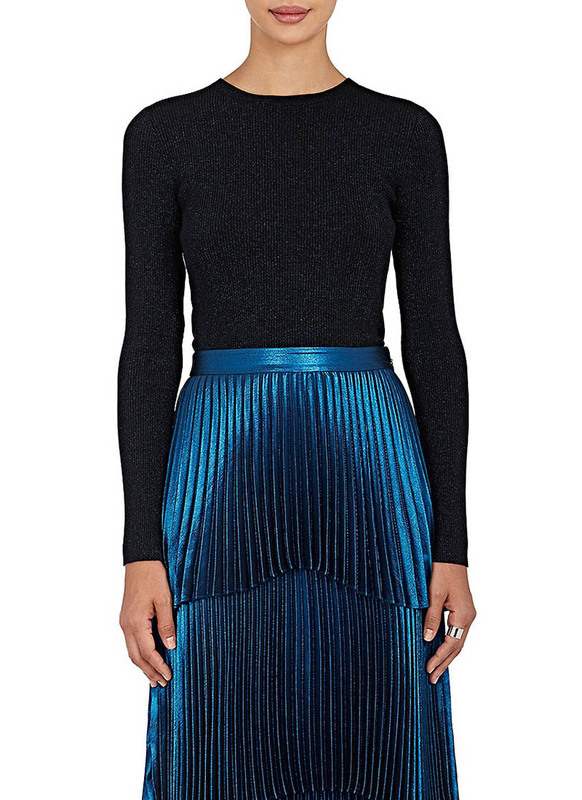 This skirt includes a tiered silhouette with elegant accordion pleats. 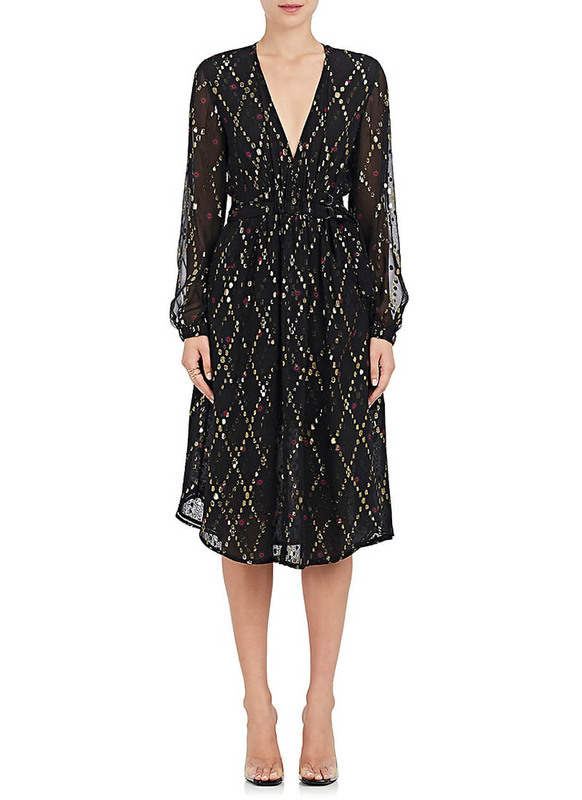 Shine in any room wearing a black dress with metallic gold fil coupé and multicolored dots.